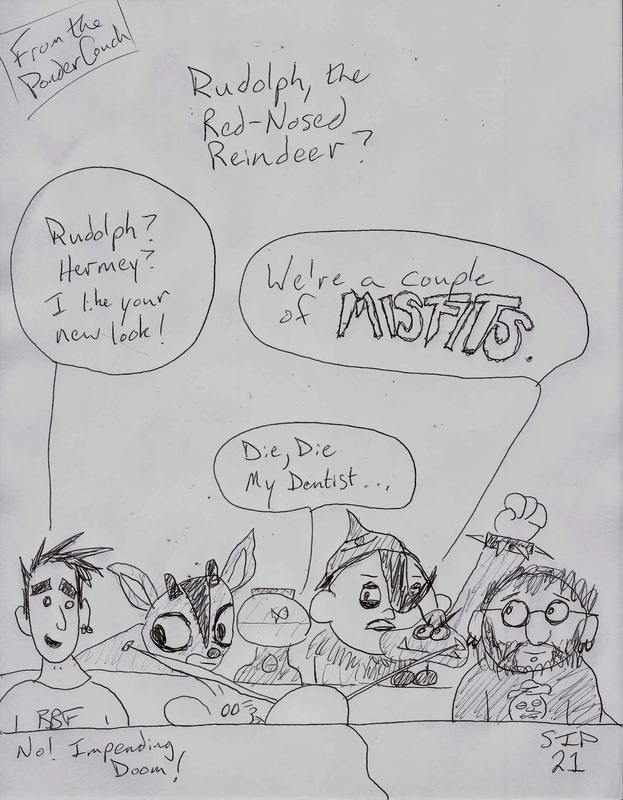 From the Ponder Couch: "We're on the Island of Danzig Toys" or "Where Reindeer Dare"
"We're on the Island of Danzig Toys" or "Where Reindeer Dare"
Hey a new comic! I haven't done one of those in a while. This one is an idea I had today. 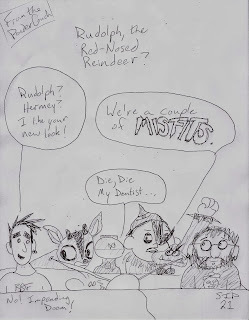 I googled every combination I could think of to see if anyone has made a Misfits/Rudolph and Hermey joke, but found nothing. I'm sure it's out there, but I made my own version anyway. A Ponder Couch Christmas List! Summer Thing in Christmas Time!